Why Choose The Cory's Team. 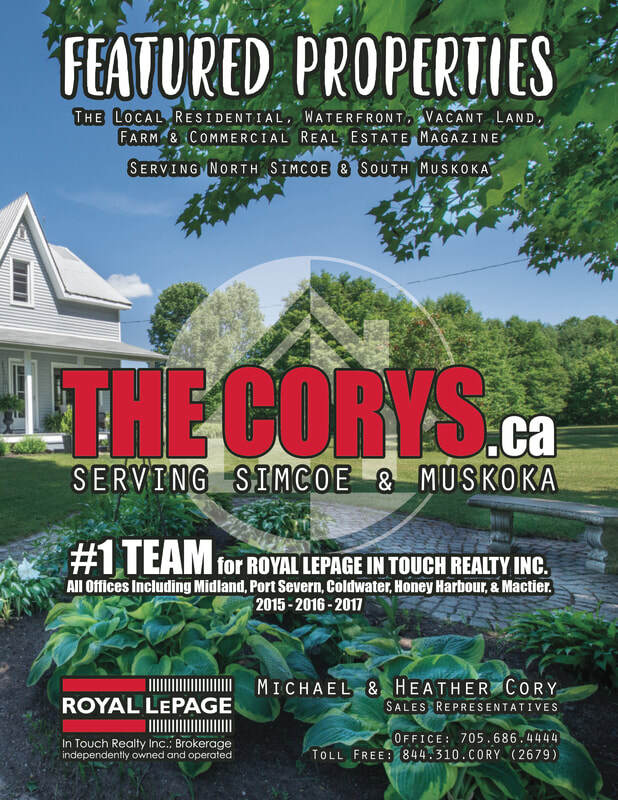 The Cory are TOP PRODUCING REAL ESTATE AGENTS Specializing in Waterfront, Farms, Residential, Commercial and Vacant Land. Our award winning team is comprised of professional licensed REALTORS® working directly together to represent your best interests and to get you the best market value for your property. excellent presentation through all print and online media sources. We keep you informed. We generate weekly statistics feedback and quick response to all your questions or concerns through the selling process. you up-to-date on what other properties are selling for in your neighbourhood. IN 2017 THE CORY’S TEAM SOLD 87% OF THEIR OWN LISTED PROPERTIES. Get the latest issue to your Email weekly. in-house. Our magazine is updated weekly. Every week 1000's of Buyers receive our custom listing magazine. Both in hard copy print and digitally to their Emails. Distributed to locations near you. ​can sign up easily with the link below. EVERY Listing Get The Same Exposure. You will get your very own page that will display your listing on our fully custom website. On the very top of your page potential buyers will see your address and location, as well as other important information. A variety of professionally taken and edited photos with the latest camera equipment and software. A more in-depth write up on your property than MLS and REALTOR.ca® will allow. A 360 Interactive Open House, that will let potential buyers view your property without ever having to step foot in it. A virtual tour of your property that shows your home from every possible angle. Shot with the latest equipment and the highest possible 4K resolution. An interactive brochure gives even more information about your property. We also make sure that there are printed copies at your property. An in-depth floor plan is created for your property to show room dimensions and overall layout of your property. Lastly there is a Google map showing where you are located, to make it easy for buyers to get an idea of the overall location.